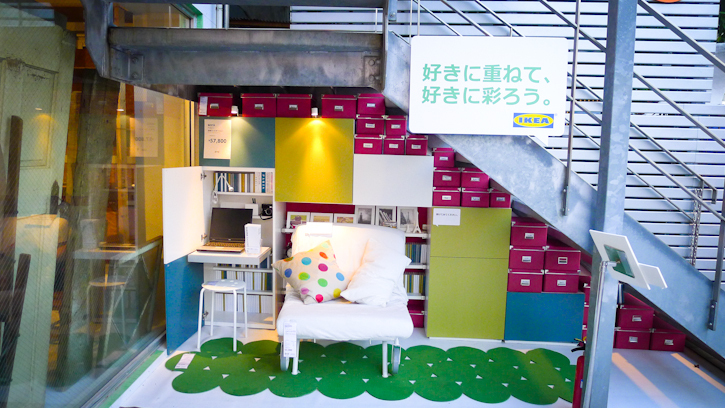 So these urban installations "Sukima gallery" from IKEA were very cool! They found "Sukima" (it means in-between spaces in Japanese) in the city and have displayed very unexpected ways of using the space using their furniture and products. 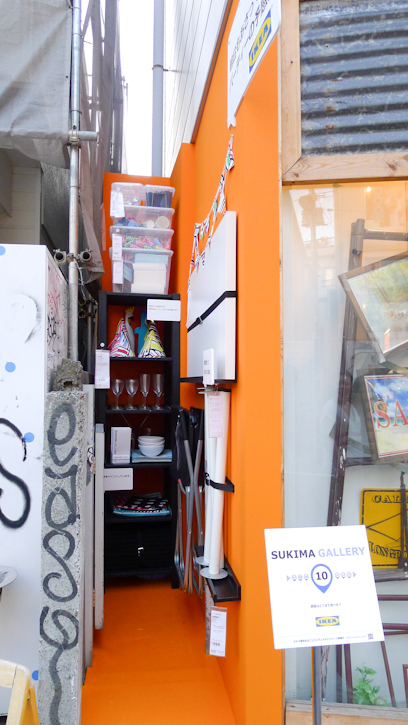 As you can imagine, there are A LOT of sukima in Tokyo... between buildings, underneath the staircase, etc. etc. and discovering these unexpected installations throughout our walk in the city was so much fun! Such a creative idea, isn't it?